It was late at nite in my room in Naples, Italy. I’d just put down the book I’d been reading in bed ( DaVinci Code) and turned out the light and noticed a vision on my armoire. Inside an arched window shape, I saw a vision of thick tubes glowing in pastel neon shades, against the blackness of space. I stared and stared, trying to discern some symmetry or movement in this vision, but nothing came of it. Then in the lower left-hand corner, I saw a spider web appear and almost instantly expand and disappear. Simultaneously, about six golden flecks, lit up golden with a bright bioluminescence, bright as fireflies, drew near my bed in formation. They stopped near the wicker chair I used as a bedstand. I thought maybe I should clear the chair in case this thing wants to sit down. ( I thought maybe if I mentally connected the dots I would see a ghost, maybe my mother, which would have been welcome). But the brightly glowing gold flecks, thick as coins but rough-edged and not round, stayed in formation and hovered, doing nothing other than glowing. I turned my attention back to the tubes, which seemed to have some function. They softly pulsated I thought maybe they were energy tubes. To test my theory I tried channeling the energy using a Reiki method. Nothing moved or changed. But then I looked at my hands and got really scared. My fingertips were glowing white ( not the palm centers, where reiki energy is supposed to flow) and all of my fingers were about a half inch longer than they really are! They didn’t seem to be MY hands. I watched the tubes of soft light and the hovering, bright gold flecks for another five or ten minutes maybe ( hard to say how much time passed), got sleepy, rolled over to sleep, opened my eye a little and saw a little single gold fleck land on my hand between thumb and forefinger of my right hand. Then I fell asleep. Two nights later, the gold flecks reappeared, but were smaller, and played joyfully on TOP of the armoire like kittens or puppies chasing each other. I had dreams of levitation, of flying, of being lifted up, and the next day in a piazza had to ask a friend to hold my hand to keep me from leaving the earth. I saw her through an orange fog. I felt as if in waking trrance, like a kind of fever, where the traffic and bikers and pedestrians in the busy city street were pushed to the background and I was in a kind of bubble that wanted to float up toward the sky against my will. I was too scared to leave my body, thought I might like it too much and die by leaving my body behind. None of the above had ever happened to me before or since. When I was in my 20s I ate a lot of LSD but never hallucinated. I’d had understandings without words, but strangely never a hallucination. Here I am, 54 years old, no drugs, and I see floating gold flecks and neon pastel energy tubes that look like spaghetti, alone in my room in Naples. I struggle to understand the visions, and wish I had had the courage to let go and float up (levitation is a longtime dream of mine but I cannot overcome the fear.) After the first night’s vision, the next morning I woke up and immediately wrote a letter to my sister describing what I saw. She saved the letter for me and I have it here so the description is real, not remembered. (I am a reporter and writer.) I later went online to see if anyone had had similar visions, but no one did. Just as well. I must figure them out for myself. They mean whatever I think they mean. I am at a loss. I was 11 years old and about 4 or 5 of us (my brother and some friends) easily levitated another one of our friends with only one finger from each hand under the body. My family life was filled with “unusual” experiences like this so I never questioned our ability to do it – this seemed entirely appropriate at the time. I heard my husband moaning in his sleep and I looked over and he was levitating about 1 foot above the bed. His body was encased in Blue light with white light coming from the window shinning on him. A voice told me that I was not to be watching this. I there fore turned over and went back to sleep. When in high school, some friends and I played psychic games. I decided to explore a little further. 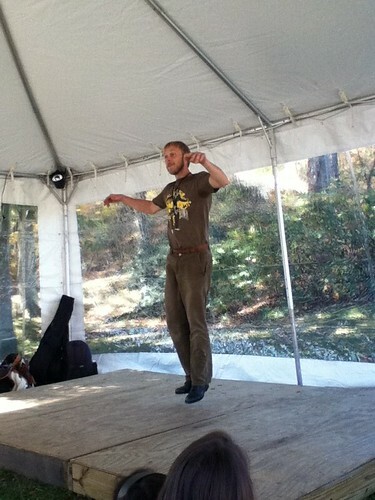 I found that I could levitate people, which truly scared them. Also, with a bit of focus, I was able to make the electric shut down and drain wells of water. This was in plain site of instructors and students. Only one of the witnesses was undaunted; the rest were frightened or tried to find another explanation. I was with 3 psychics in Texas. We were entering a native American Portal. There is a certain ritual that you must do at first, one of the woman was ahead of me. When I reached the center of the portal I began to levitate and I told the others that my ear was bothering me. There response was that is just spirit talking to you keep going. So I did, when all of the sudden I looked forward and there was the Virgin Mary coming towards with her arms out stretched saying you no longer need to suffer. The lady who was ahead of me came to me crying and said do you know who was just here? I said who did you see and she said she saw the Virgin Mary with out reached arms go through me.